My 87 Ranger, is being brought back to life after 13 years, most of which my former spouse held it hostage from me. For the most part, things have been going well. By suspicion, I saved the fuel system for last. 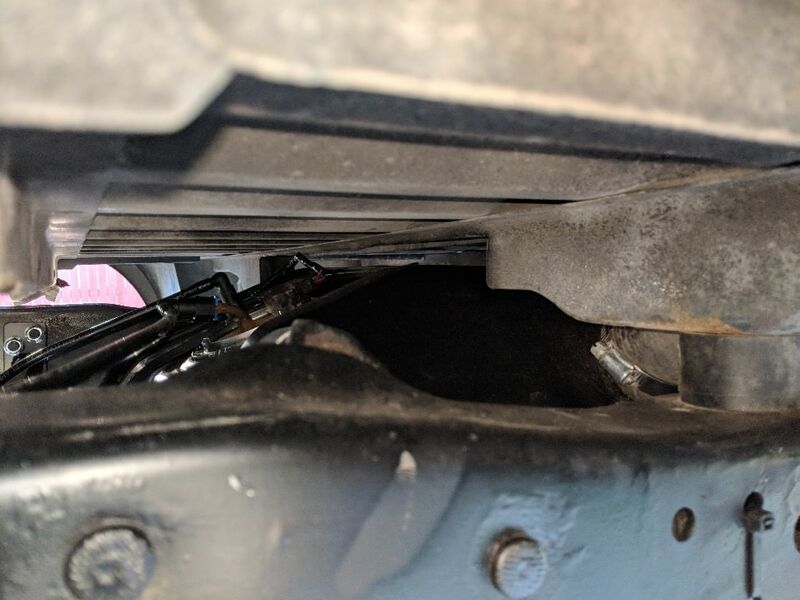 When I parked it, I had just filled it up; this however did no keep the "former" from raiding it's fuel tank, leaving it to corrode, with no chance of use. Upon learning this, I remember how I once decided if ever that tank went, I would replace it with a BII 23gl tank. While I am aware that I am not the pioneer in this adventure, I did do it in the spirit of improvement. 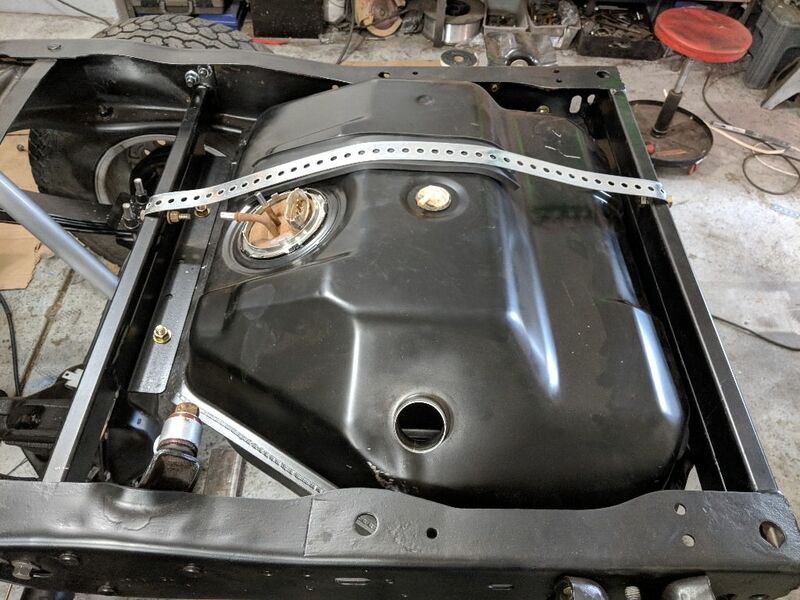 After some thinking, planning and consulting I decided to mount the BII tank just where it would be if in a BII, right behind the axle, with the driver's side shock right behind the forward tank support bracket. a. 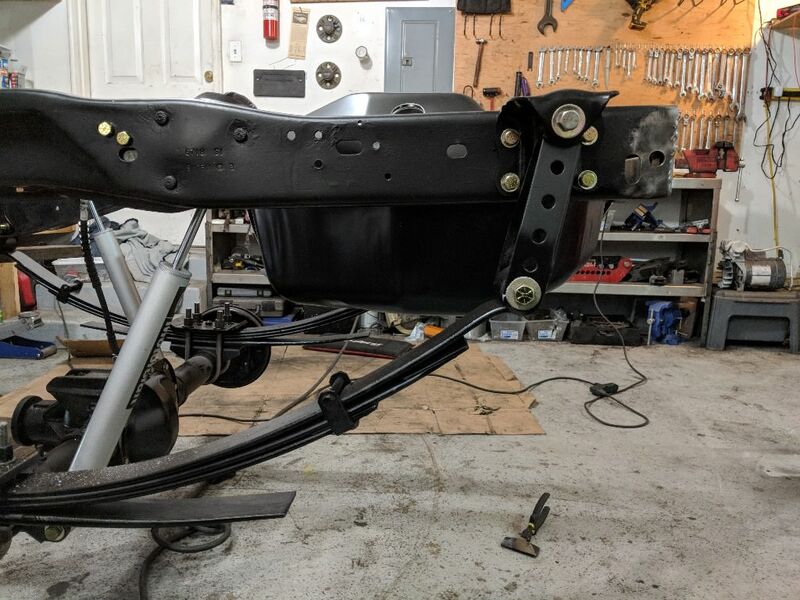 The Ranger frame not only rises but narrows, forward of the driver's side shock tower and the BII's frame sits approximately ¼" wider, so it's frame brackets are ¼" wider ( I knew this from purchasing g the James Duff dual rear shock system for the BII but long let that info slip to time). The work around were simple enough; I just trimmed the BII front tank support bracket to fit well. b. 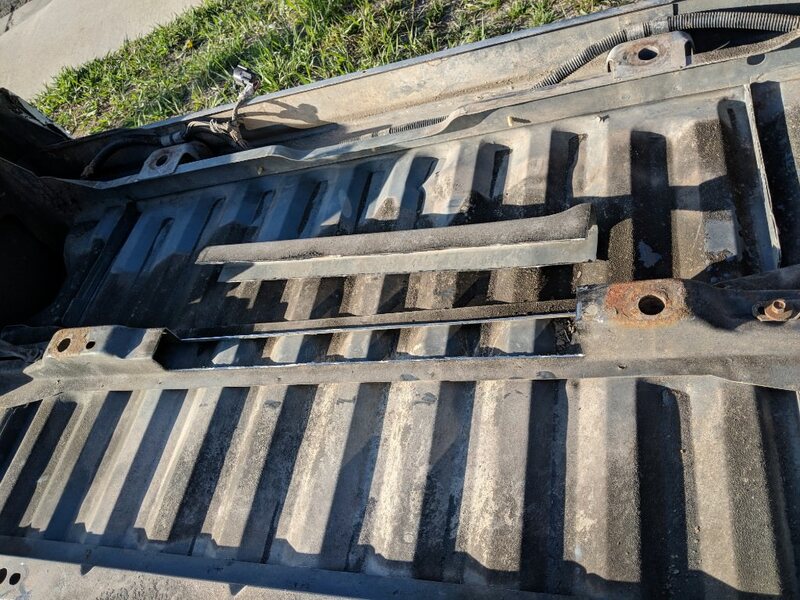 The Ranger's rear tank support needed to not only move forward but also be trimmed to accommodate the 23gl BII increased hight, compared to a Ranger 13.5 gl aux tank. Approximately 2" need to be trimmed from the leading edge for the tank to be able to nestle into the straps. c. Longer fasteners were required for the straps since the tank is taller than a Ranger aux tank. d. The Ranger filler neck is better suited because it is longer and offers better placement flexibility. e. Since I went forward and I have. 4" body lift there are no clearance issues with the bed structural supports. 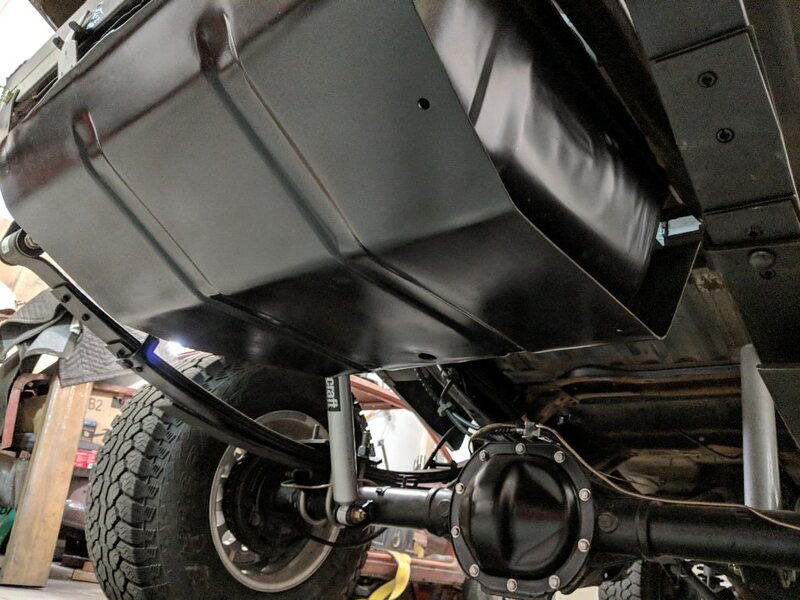 I am tossing around a bed access cover just because, this pump will eventually die and that will make for a swift swap vs dropping the tank again. f. For the fuel lines I just added EFI hose and lengthened the senders wires. g. I am lengthening the rear spring shackles approximately 2" which will net about 1 ¼" of ride height. Once the dust settles I plan to add an 8.8/D35 so I will leave the pack as is for now. It is currently all but done. When I learn how to put up pictures I have pics of every aspect and stage of the process. I chose to move the tank forward for the best possible handling with this sorry weight change. 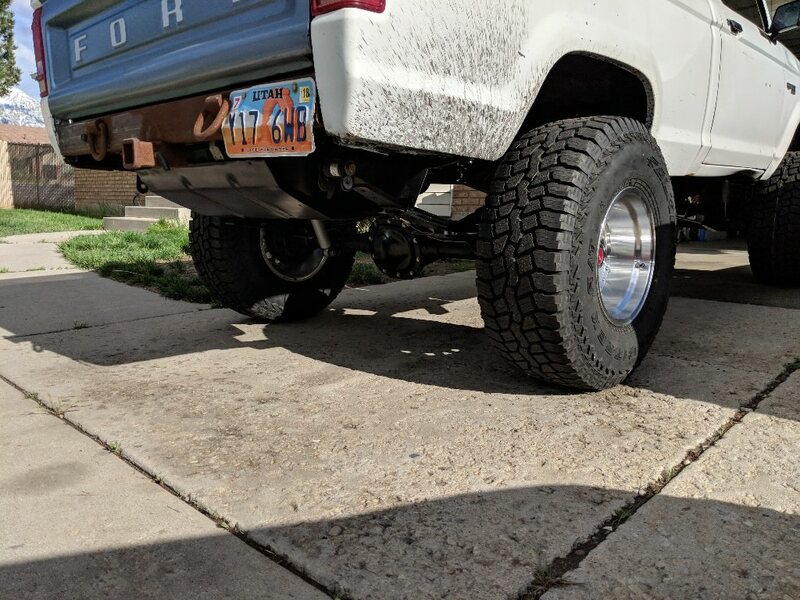 i have a 34 gallon in front of my axle...thinking of putting a fsb 33 behind it. I'd love to see pics on how you did this. I used a BII tank in my Ranger as well, but I made my own crossmembers. You can use the site imgur.com to host your images and then use the bbcode links to have them show in the thread. That's a lot of diesel!!! 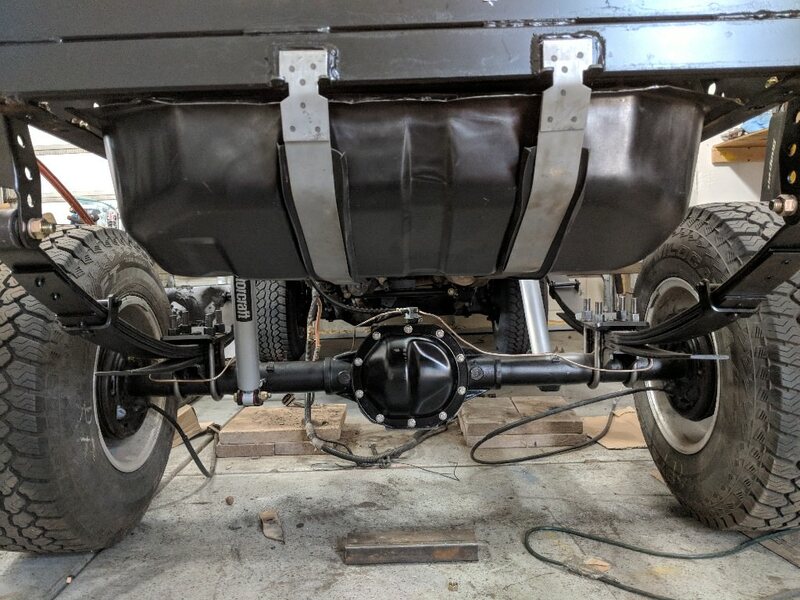 That is some pretty undercarriage!! !